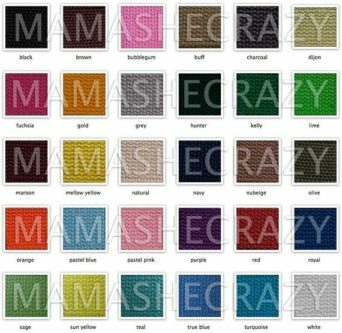 Time to start looking for 13th Textile Modern Anniversary Gifts For Him! 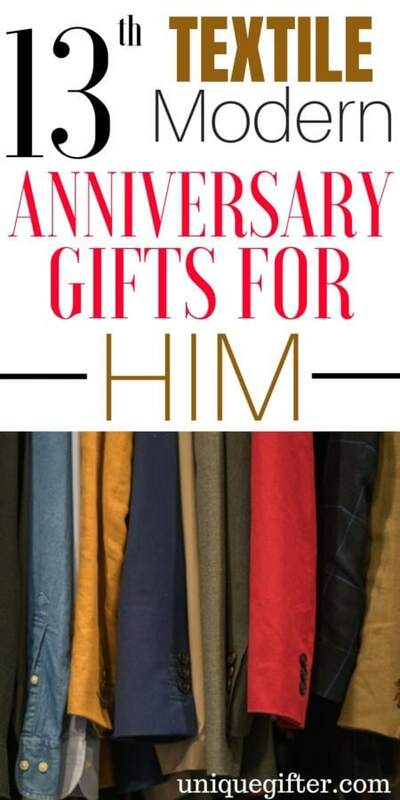 Your 13th wedding anniversary is coming up, and it is always hard to find a gift for your husband, let alone one that he might like! 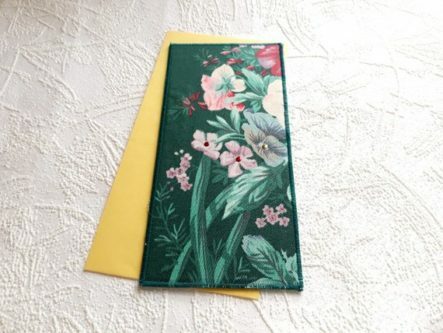 However, that might be especially hard when it comes to textile modern anniversary gifts. That’s where this list comes in, to make it easier on you! 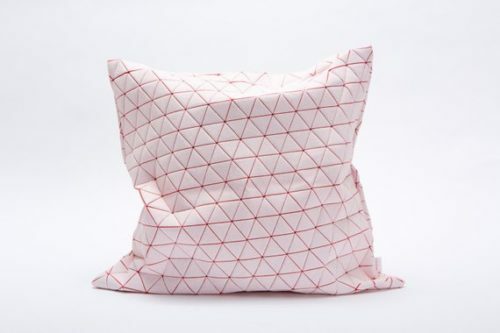 Check out all the thoughtful textile gifts below. Impress the love of your life with any of these creative presents. 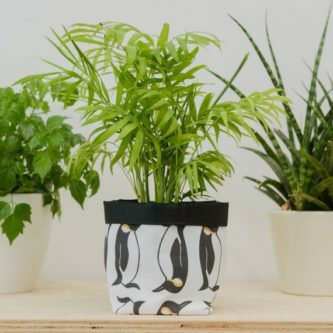 For the husband with a green thumb, a penguin print fabric plant pot is the perfect gift for him to plant something special and have a nice container for it to sit in. 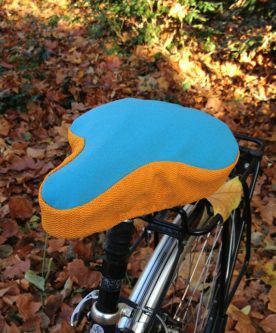 If he rides his bike a lot, he would sure be appreciative of a luxury handmade bicycle saddle for the seat! 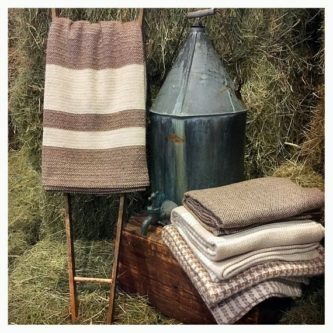 Keep him warm with an Abbott Farm alpaca blanket. 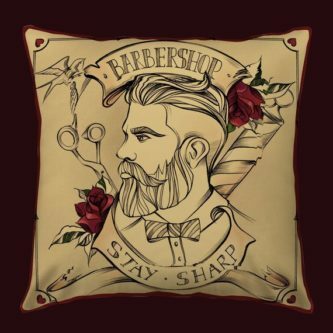 Barbershops are masculine, as are barbershop-theme pillowcases! 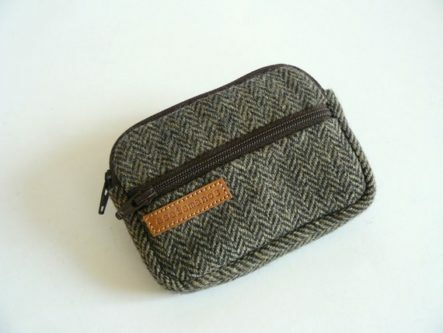 He can keep all his wallet things in a fancy, retro Spiga wool wallet now. 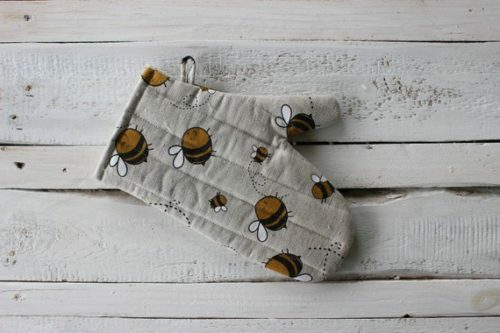 If he is a whiz in the kitchen, he definitely needs bee print kitchen mitts to handle all the hot pans and dishes. 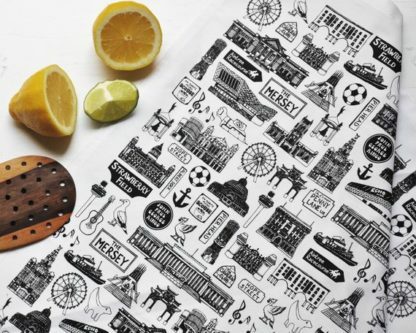 This fancy looking, black and white, Liverpool illustrated tea towel would look much more masculine hanging from the handle on the oven than a girly one. He is your anchor; you will never doubt that. This white and red designer throw pillow cover will look nice on a throw pillow in his office or man cave. Help him keep better track of his keys, with a black and blue fabric key fob to put them on. 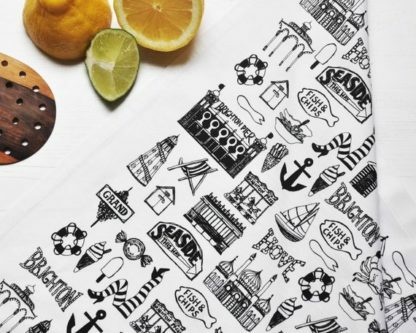 If Liverpool isn’t his thing, then perhaps a Brighton illustrated tea towel would be better. 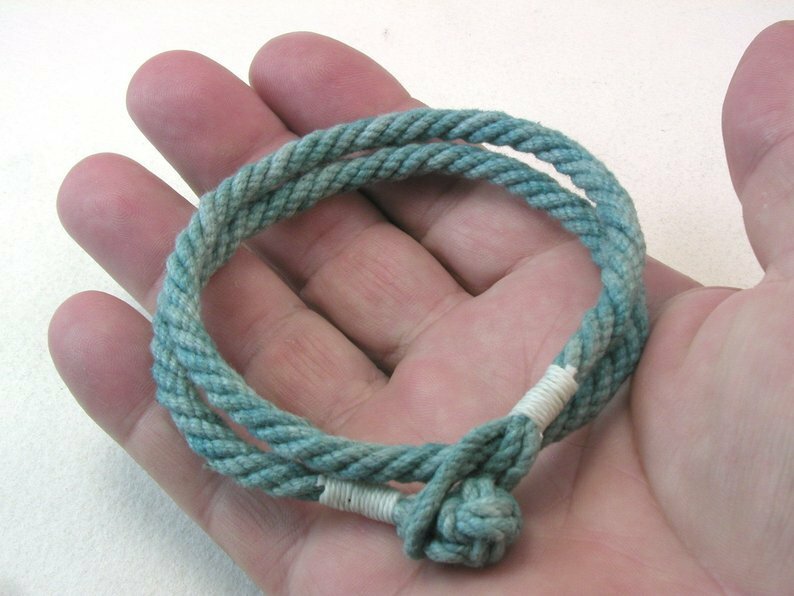 For the husband who loves the color teal green, this cotton bracelet will look super nice on his wrist. 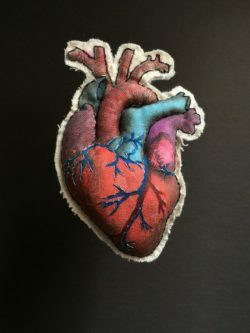 If your husband is a doctor, or in the medical field, this anatomical embroidered heart brooch makes an excellent gift for your 13th textile modern anniversary gift to him. 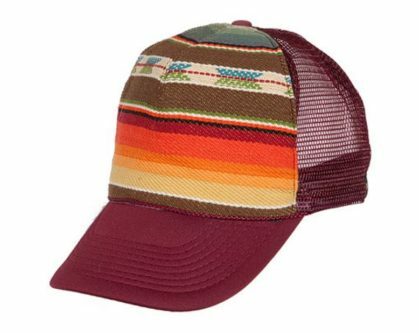 Whether he is a trucker or not, this hat is a fantastic gift idea! 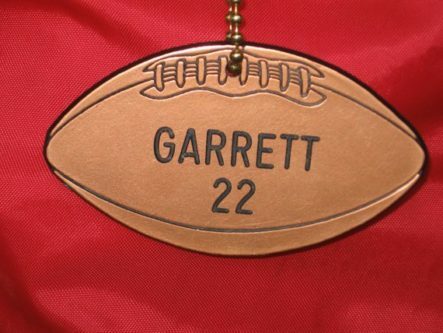 He can use this football bag tag on his luggage, backpack, or even as a key fob as well. You can also personalize it with his name and sports number (or favorite number). 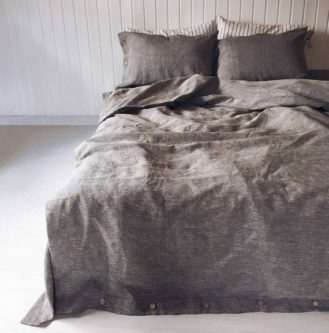 The linen duvet cover will help keep you both warm at night, but if he is a blanket hog, it might help him be less of one. 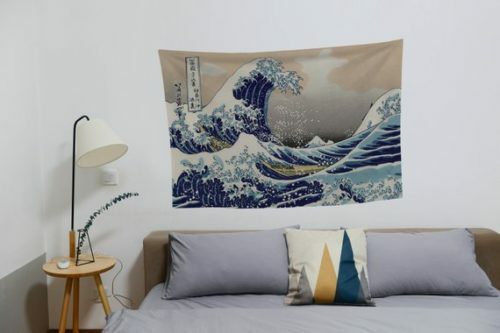 The beautiful Kanagawa wave will look amazing on your wall but is indeed not enjoyable only for men or women. 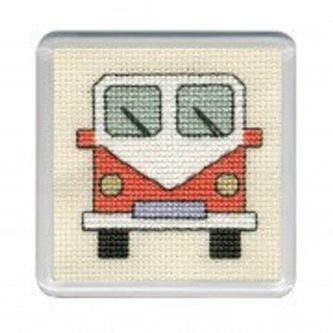 You can make him a VW campervan coaster for his drink if he loves VWs. 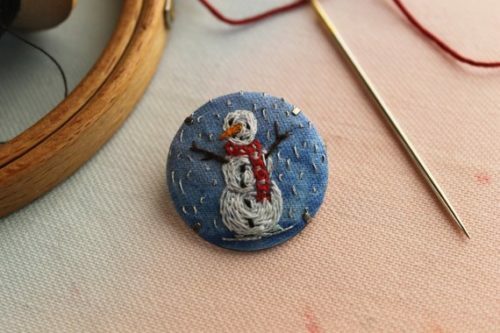 If your anniversary is close to Christmas, these awesome embroidery Christmas pins are an excellent textile gift. If all else fails, get him an art textile greeting card as your anniversary card to him and give him a different gift he might like more. 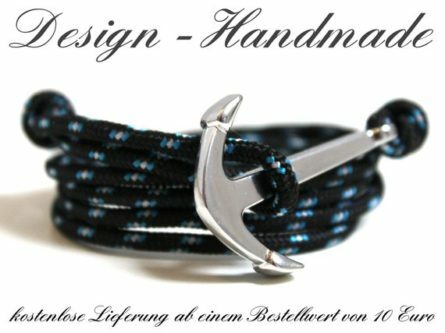 I bet there were more textile gift ideas for your husband than you thought when you first started searching!